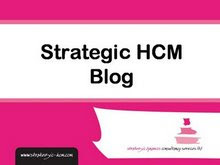 I've posted on HCI's / IBM's new talent management research on my HCM blog. IBM found the factors that made the biggest difference to organisational performance are whether organisations understand and address workforce attitudes and engagement levels, and whether employee and workgroup incentives are aligned with appropriate business goals. However, another factor that appears to quite important is collaboration (I also suspect that the importance of this element is currently being undervalued, and that it will grow over time). The research finds here that only about half of organisations believe that their employees are collaborating and sharing knowledge with other employees. These organisations believe that doing this helps promote organisational goals and results. So, firstly, a lot of organisations are missing out on the potential benefits of social capital. And secondly, many of the organisations which believe their people are collaborating do not have an infrastructure which is designed to facilitate collaboration across the organisation. "One can only imagine how much better collaboration and knowledge sharing could be aligned with critical goals if more organisations were better at promoting it." "I am my mum and my sister. I am my best friend Mike who I've known since school. I am Kate who's still somewhere in Thailand. I'm all the girls I've ever kissed, and the girls I will. I am the teacher that failed me, and the one who spurred me on. I am my bosses, and every one of my friends. I am a bloke I'll meet travelling, who'll teach me the guitar. I am the places I'll go to with mates, and the jokes I'll share with them. I am the people who put me down, and the ones who'll pick me up. I am who I am, because of everyone." Although this blog focuses on developing social capital in businesses, much of the learning that can be used within organisations comes from society at large. And there's an interesting speech by Michael Gove on the Conservatives website, explaining how the party's social policy is designed to deliver progressive outcomes. It refers first of all to Bill Clinton's use of the Bantu word Ubuntu which, broadly translated, means 'I am because you are'. "It resonated because it spoke to a deep truth. Each of us is defined, and enriched, by our relationship to others. It's the strength of our relationships, the warmth of our friendships, the time we have with our partners, parents and children, the respect we're given in the workplace and by our peers, the achievements we forge collaboratively and collectively, which generate real happiness and fulfilment. We are fully ourselves because others believe in us." Gove argues that the UK's current Labour government is neglecting relationships and running down social capital. An example is the government's approach to the closure of post offices "with its narrow emphasis on economic costs without regard to social benefits, is an erosion of community resilience". "There appear to be only two primary centres of decision-making, the central state organises and the individual is expected to respond appropriately. Individuals are assessed by the State as economic units in need of upskilling, taxing, monitoring or redeploying as appropriate - according to priorities set, and policed, centrally." In contrast, a future Conservative government will take relationships seriously and put social capital at the heart of policy as something that is good in itself and good for social justice. "The principle at the heart of our schools reform programme is changing the way we make schools accountable so that community relationships are strengthened. We will make schools accountable to parents by allowing parents to choose the school they want for their child. We'll give every parent the right to take the money currently allocated to their child's education and then deploy it in accordance with their priorities, not the Government's. We'll make it easier for new providers to enter the state system, reforming planning and other laws to increase choice and diversity. Parents will be empowered to choose the school with the pedagogy, the disciplinary approach, the ethos and the philosophy they believe in. Whether it's the philosophy of Rudolph Steiner or Thomas Arnold, it will be parents who decide what's right for their children." These are the sort of economic incentives that have been argued for by the conservatives (and Tony Blair) for quite some time. And I don't see much here that will really strengthen community. David Cameron has commented previously that "the aim of the Conservative Party is nothing short of building the good society. We will be as radical in social reform as Margaret Thatcher was in economic reform." I think for this to happen, social reform needs to be based upon something more radical then just economic incentives. I am a fellow of the Royal Society for the encouragement of Arts, Manufactures and Commerce (RSA), which styles itself as "a cradle of enlightenment thinking and a force for social progress". At the recent AGM, the organisation's Chief Executive, Matthew Taylor described his ideas for developing social strategies. In his view, social progress requires a paradigm shift in the way we think about ourselves, realising that we all connected to one another and that we need to use different tools to provide new answers to old questions. This sounds very similar to Michael Gove's thinking but Taylor's conclusions, I think, are quite different. These are that our sense of separateness, our very identify, is problematic. It is this way of thinking that we need to change, in order to enable the sort of life in which we have the time and space to become more empathetic to each other, and to display what Taylor calls 'pro-social behaviour'. As one of the audience attempted to summarise Taylor's speech, para-phrasing Margaret Thatcher: "there is no self - there is only society". "To create an alternative future, we need to advance our understanding of the nature of communal of collective transformation. We know a good deal about individual transformation, but our understanding about the transformation of human systems, such as our workplaces, neighbourhoods and towns, is primitive at best, and too often naive in the belief that if enough individuals awaken, and become intentional and compassionate beings, the shift in community will follow." "The context that restores community is one of possibility, generosity and gifts, rather than one of problem solving, fear and retribution. A new context acknowledges that we have all the capacity, expertise, and resources that an alternative future requires. Communities are human systems given form by conversations that build relatedness. The conversations that build relatedness most often occur through associational life, where citizens show up by choice, and rarely in the context of system life, where citizens show up out of obligation. The small group is the unit of transformation and the container for the experience of belonging. Conversations that focus on stories about the past become a limitation to community; ones that are teaching parables and focus on the future restore community." "which allows them to feel loyalty, to have their emotions stirred, sometimes to anger when authority fails them, but more often to pride at what has been achieved collaboratively by a collective of which they feel a meaningful part." To me, it is 'social thinking' (thinking from a social perspective, one that values the importance of social capital, and the comes from the spirit of ubuntu) that provides the basis for this future state. 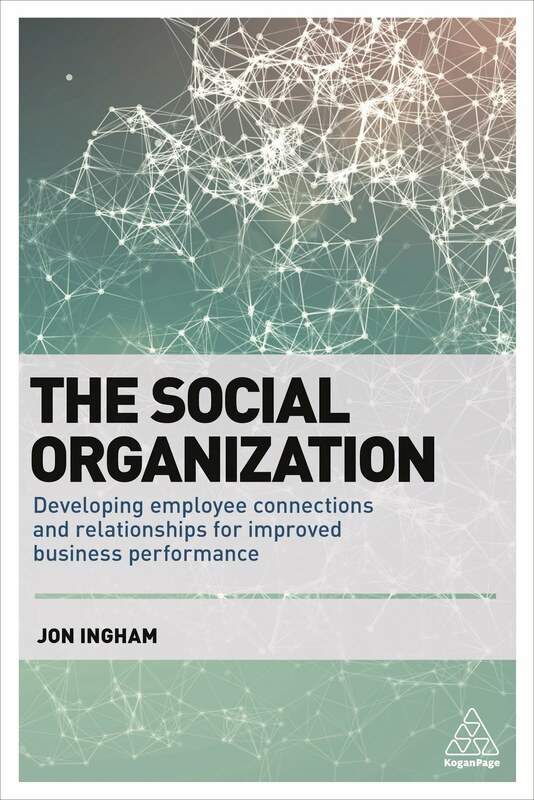 I am quoted in an article on social networking published by the IOD's Director magazine, 'Social Workers' - see my HCM blog for details.